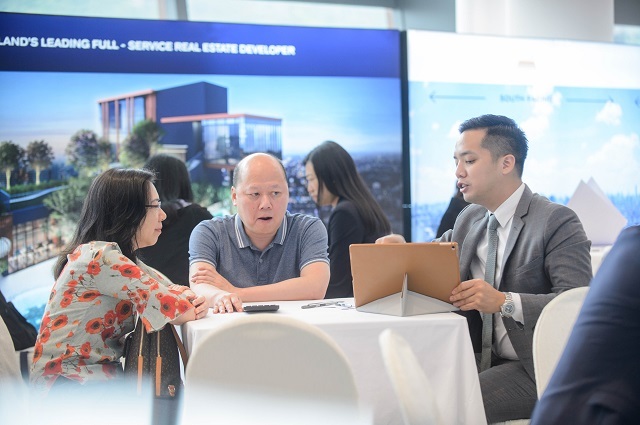 Rail and bus transits provide benefits in land values: cities alike, including Hong Kong and Bangkok can capture this property market uplift to attract property investors. 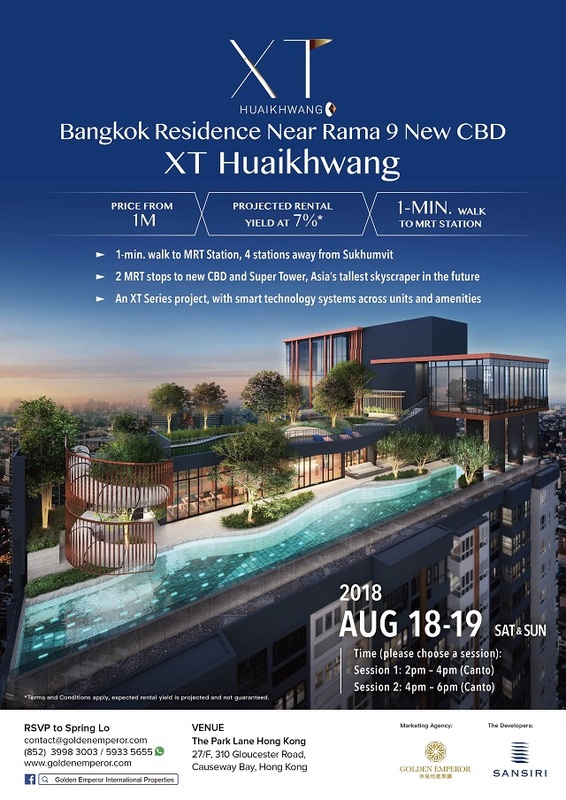 The past weekend, Golden Emperor Properties hosted the ‘Bangkok Residence Near Rama 9 New CBD’ to launch Sansiri’s latest property project, XT Huaikhwang, which is only a one-minute walk from Huai Khwang MRT station. 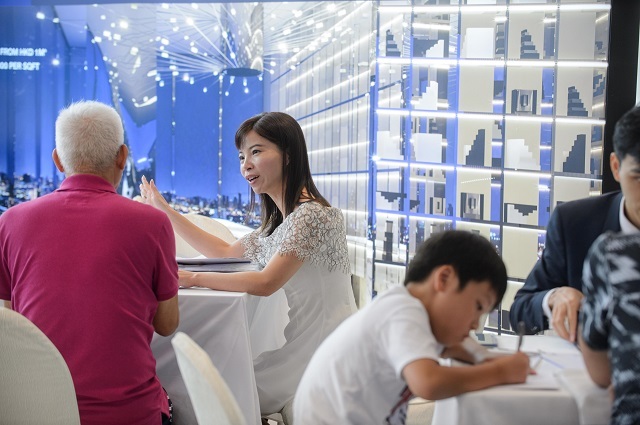 The residence not only benefits from easy access to a transit system but additionally lifestyle entertainment faculties and shopping centers. 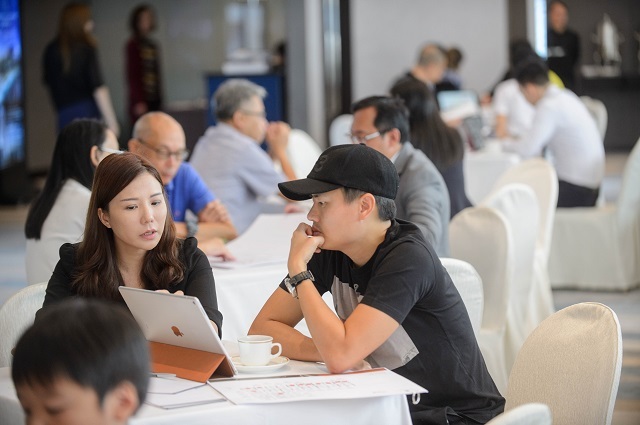 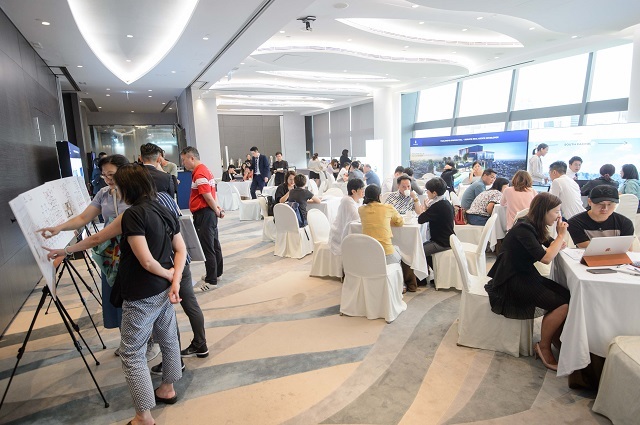 The project is popular among investors from Hong Kong and many attended the seminar to purchase units for both self- use and as an investment. 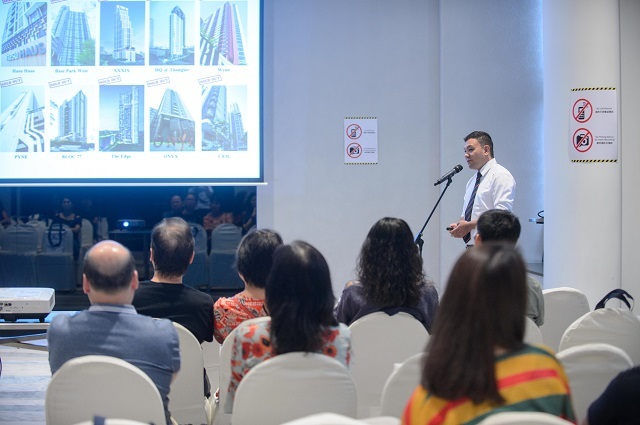 Photo Above: Golden Emperor Properties Managing Director, Mr. Terence Chan discusses the market trend with investors at the seminar.